Rise and Shine my loyal readers. We've got lots of Kona Cotton from Sunrise to Sunset. AND we have the best leader Madamme Samm and a fabulous cheerleader Carol. We couldn't do this without them. When I signed up to participate in this blog, I knew exactly what I wanted to make I thought what in the world were you thinking. 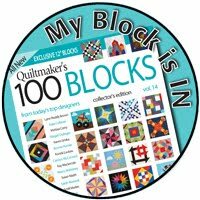 You have never made a quilt from solids and you hardly even own any in your stash. 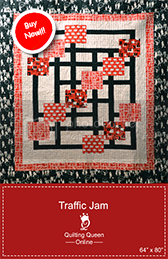 But I had seen some quilts recently from solids and liked them. However, after reading this woman's journey I realized I probably wouldn't live long enough to complete this and am certain that the deadline of January 20th was a bit unrealistic! Really?! Ya Think??!! Then I saw this pattern for this New York Beauty and purchased it online not long ago. It would be the perfect excuse project to make for this blog post and I was pretty certain I could finish it by the deadline. I'll have to say, I'm not sure I could make enough of these blocks for a whole large bed quilt. That would be a UFO in the making for many years to come. I think this may be my one and only! I had some tools to make my paper piecing a little more pleasant. In fact, I don't think I could do it without them. This nifty little mat was the perfect size to trim the papers on the back. I put it right beside my sewing machine. I didn't even have to get up to trim. 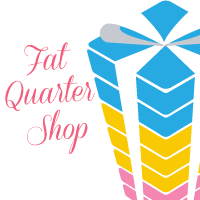 And of course an "Add a Quarter" Ruler. And last, but not least, I couldn't have made it without my cup of Sonic Un-sweeten Iced Tea (do you spot it in the background in the photo above?). I know, some of you would have to have your morning coffee. But not me, I NEED my iced tea. And not just any iced tea. It has to be SONIC iced tea. My sweet hubby brings me one every morning before he goes to work. To make this gem of a wall hanging, I started with this jelly roll of precut 2 1/2" strips of Kona Cotton in Brights. I'll post about my journey to make this project tomorrow and you can read about it then. I am very happy with my first attempt. I'm calling this one Geese Circling New York. This is the original picture I posted on the blog. These are additional pictures I took outside this afternoon on the fence. After I finished my New York Beauty, I had tons of fabric left over. Did I have enough time to make another project? Why of course I did. I quickly designed this quilt from a counted cross stitch picture I pinned to Pinterest. It surely wouldn't take too long. This is the orginal picture I posted on the blog. And these are the updated pictures I took this afternoon outside on the fence. I originally thought I would use the 2 1/2" jelly roll strips cut into 2 1/2" squares, finishing at 2". I counted the squares in the project. It was 35 wide by 49 long. Hmmmm... lets see, that would make this egg 70" x 98"!!! That's a giant Easter egg! Well darn, guess I'll have to cut those 2 1/2" strips down to 1 1/2", with a finished square of 1". Yikes those are a bit small but I can do it! After all, I have 10 days and I had a retreat to go to and I would take it along to work on. I did manage to complete it at the retreat. On to the quilting. What should have only taken a maximum of 1 day to quilt, somehow this quilt ate my lunch! It took me 2 1/2 days to quilt it; it was only 45x60! There are a lot of small 1" squares to quilt something in. But hallelujah it's finished and I am very pleased! I'll post cutting directions and layout in a couple of days for this too. I'm calling it the Pixel Faberge Egg. Now get busy hopping to these other sites before your coffee gets cold. Wow, they are both beautiful pieces of art! I love the color combination and design! Thanks for hopping with us and sharing your sweet creations. The New York beauty is now on my bucket list after seeing yours and I love flying geese ! Your Pixel egg is just awesome... cutting those strips to 1 1/2 " would have been to hard for me to do it. But, your result is stunning ! 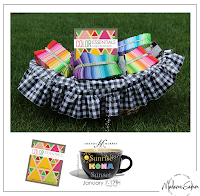 I can't say which one I like more: the sharp points of the rainbow over the black or the incredible egg quilt - you definitely have a lot of patience to piece 1'' squares. beautiful! Wow! awesome! I love the way you write, too! Thanks for sharing - and for taking the plunge and showing us two gorgeous projects! Both of your projects are wonderful! Thank you for sharing. Your Geese Circling New York quilt is awesome! Subscribing to your blog with My Yahoo feed. Following you on fb: Nicole Sender. I am always amazed at what some people are able to achieve and also visualize before hand. Thanks for a fun giveaway too. Love both of your projects and thank you for sharing them with us today. Love your projects. Very creative egg quilt! I love your New York Beauty, it is a real beaty. Thanks for sharing your projects and your creativity. Your New York Beauty turned out beautiful! See how much fun solids can be? Love your sweet egg quilt too. Your New York Beauty is definitely that! And your egg quilt is very clever. Wow, very impressive projects! I have also used pre-cuts and cut them down to size. Sometimes I wonder if this is defeating the purpose! Fantastic projects.The flying geese is my fav.Thanks for sharing! All I can say is Wow!! Love them both. Such a delightful post! Your projects came out beautifully!! How inspiring! Beautiful job on your geese!! That is gorgeous. Cute egg too. Your Pixel Faberge Egg is egg-ceptionally creative and very pretty! But I do have to admit that New York Beauty has my eye. Those KONA's sure shine against that black background and the quilting is incredible! You outdid yourself, Doris! Wonderful works! I love both of you very creative and beautiful projects. I am more of a coffee girl but if ice tea helps make woke this gorgeous I might need to convert! Love your quilts. Oh. My. Geese around NY is fantastic and the pixel egg reminds me of video games. So "something I would make". I follow on GFC and bloglovin. Your quilt is so much fun! So pretty!!! I love your New York beauty! I have had my eye on making that one, too, for a while now. And your egg....So creative! Your New York beauty is fabulous! Love your other quilt as well. Very clever idea to convert a crossstitch. That Geese Circling New York is a thing of beauty. I can't imagine how long it must have taken. Would you ever make 23 or so more and join them into a large quilt? Personally, I think it is just right as a wall accent piece. Your NY Beauty is gorgeous! 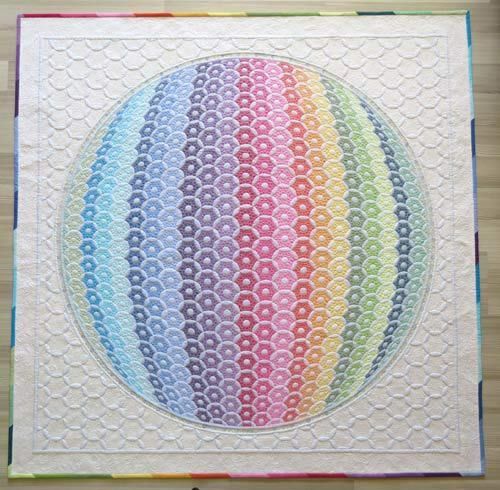 and the egg quilt is so pretty! Now you are ready for Easter! I love your quilt. I am still learning how to make the flying geese. I can never get them straight. You are very talented to take this project on. Love it. Both quilts are beautiful!! The egg from a cross stitch is such a fun idea! Your quilts are so lovely - thanks for sharing. I love your block. I think I will have to give PP a try. When I go to Sonic I get a Cherry Limeaid. Maybe I should try their tea? I'm liking you on Facebook - thanks again. And I'm a follower of your blog - GFC & Bloglovin'. Thanks. For someone who wasn't sure what they were going to create, you hit the ground running! I love the Fabrege egg. I love your Geese Circling New York. Thanks for sharing. Very Beautiful stuff. I'm afraid I would never try all those little squares but ya never know. Wowsers! You New York Beauty is striking - those rich Kona colours sure pop off the black background!! 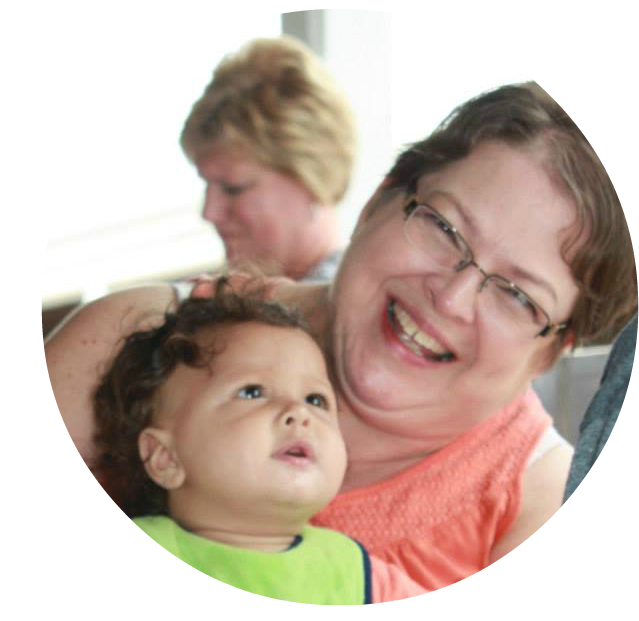 I am following you via GFC and Bloglovin' - thanks for sharing in the hop!! How pretty! I'm going to have to start using solids! Your projects are all gorgeous!!! 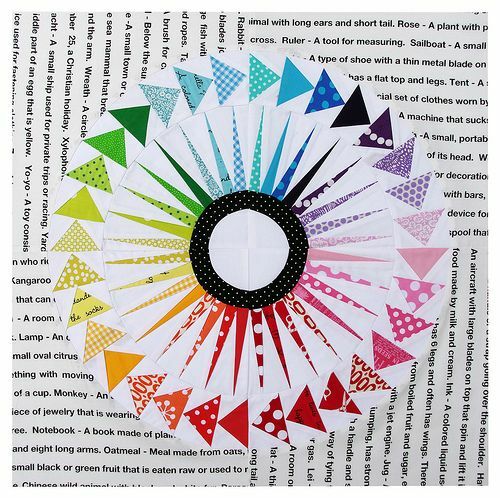 I love the idea of a color wheel/star. It is stunning in my book! You are very ambitious - your quilts are amazing. Maybe I need to switch from Sonic diet cranberry limeaid to unsweeten tea. The NY Beauty is wonderful. That's a lot of work. How smart you are to have your trimming station set up right beside your machine. The quilting on it is fabulous, too! I love cross stitch, so I'm enamored with the egg. And the size of the squares - oh my! I can hardly believe you did all that. I'm impressed. Thank you for participating and being a huge inspiration. 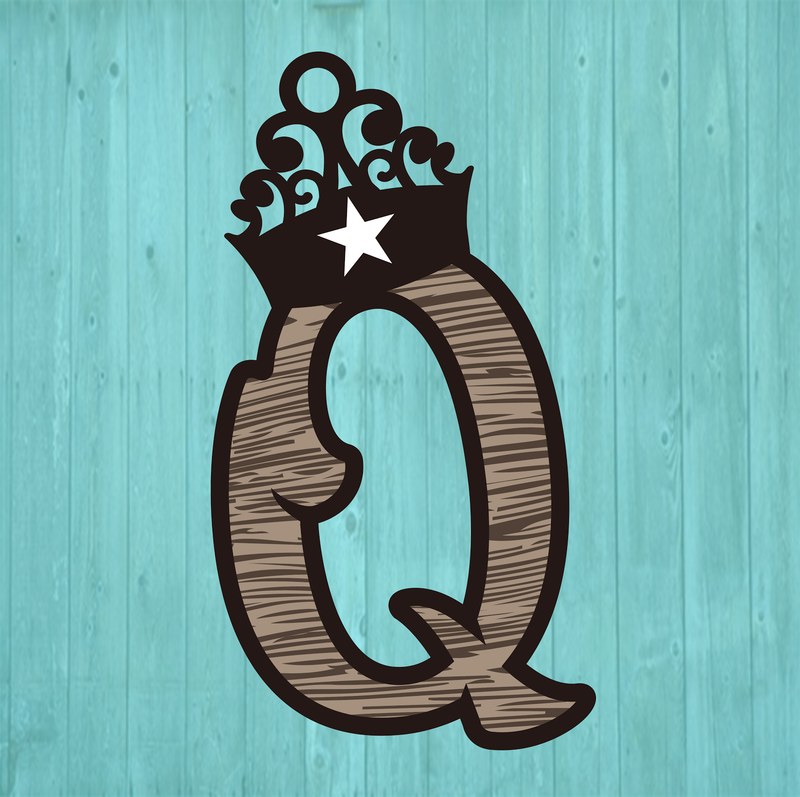 I'm now following the Queen on Facebook. Love your Geese Circling New York. The black background makes the colors pop. The Pixel Faberge Egg quilt turned out so bright and happy. Those are both amazing projects! That egg is really interesting...1 inch??? Wow! What a sweet Easter Egg! Your circling geese are pretty cool too. And wow, your giveaway is a pretty awesome starter kit for someone out there! Thank you very much for the opportunity and for sharing your projects. I love your New York Beauty with the texty prints! The way you placed the colors makes it spin! And your pixel Faberge egg is awesome! Thanks so much for sharing. I'm following your delightful blog via Bloglovin. Gorgeous NY Beauty! (and you thought you won't have time) :-) Enough left to come up with that incredible egg! Wow! I'm in awe! Both your quilts are wonderful. I love the colours. I look forward to your tutorial for the Easter Egg. I am sure you were thankful you figured out the size using 2 1/2" strips. That Easter Egg would have been enormous. Thank you for sharing and offering a giveaway. Great job on your quilts. Love how you used your colors. Thank you so much for sharing. Your NYB quilt is stunning!! I'm GFC follower # 100 !!!!!! Love your NYB quilt! 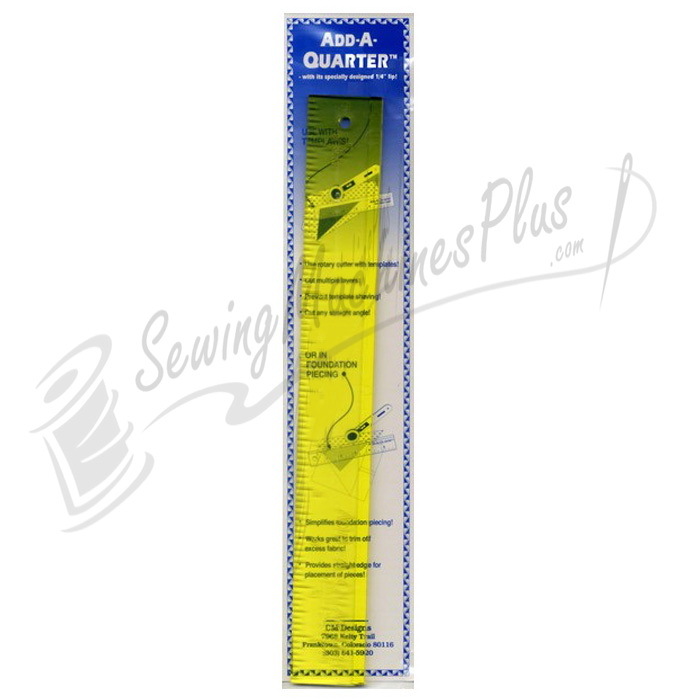 I have that add-a-quarter inch ruler and love it for paper piecing. I love both of these projects so much I can't choose between them. They are so so beautiful! Love your NYB quilt! And that egg is awesome, too. Your New York Beauty is a beauty. Wonderful colors in that amazing pattern. Wow. Your Geese Circling New York piece is stunning. Love the geese quilt but the Easter Egg blows me away- just LOVE IT! You know....my brain just doesn't want to wrap itself around the paper piecing concept...I've tried so many times. I so admire those that can do it with what seems to be such ease! Your geese over New York is beautiful. I've subscribed to your blog, and will go to FB to like and share. Thanks for the inspiration and the give-away. Love your pieces -- expecially the Geese over New York. The black really sets it off! You're so ambitious! I I would have saved my scaps for another project :) thanks for sharing today. I would have tried something simpler on the Easter Egg quilt. Since you got it from a cross-stitch pattern, I would have just made x's in all the squares for the egg and made a cross hatch pattern on the background to mimic the weave in aida cloth used for cross-stitch. But that's just me. I love the way it turned out. I want to try a pixel quilt soon. love your 'geese circling new york' ... awesome to combine the two patterns. that easter egg is tremendous. i'm now following your blog by email. Thank you so much for infusing January with color. Gorgeous quilts. You did a lovely job. Love that geese circle. Wow, I can't even imagine doing that. You are brave AND talented! Looking forward to more details about your flying geese and egg quilts. They are wonderful. Your quilts are quite eye catching.....beautiful! Thank you for sharing. Wow, great projects! Love the flying geese! Beautiful quilts. The Flying Geese is beautiful. You did a beautiful job with the solids. I love to have the tools giveaway. Thank you. Wow. Both your quilts are just gorgeous. I LOVE the Flying Geese around the NY Beauty block. Very cool. Oh, I love this flying geese block. It looks fantastic with the black background and the Kona solids. Beautiful work! Love that NY Beauty! Great job on all the projects you did. Both of your quilts are great! Thank you for sharing. Love ALL your quilts...you are very creative!! Wowie!! Awesome job!! Both of your projects are great. I love the quilting on the first one. That NY beauty wall hanging is wonderful! I love projects that use black to set off the colors. Love the flying geese colors in the NY quilt. Just lovely! Super! Geta does some amazing work. I loved that you made that NYB block - it's gorgeous and the black was perfect for the background. Wow, lots of time on the pixel quilt - impressive when I think about how small the squares are! Both of your quilts are absolutely stunning! Beautiful!! I love unsweetened tea and haven't tried Sonic's yet....I guess I know where I'm going tomorrow. You worked it, girl. Great quilts. Love your Geese Circling New York. Both quilts are beauties. I, too, love that Sonic iced tea, but I have it in the afternoon after a morning of coffee. Both projects are really amazing, but I will say I love the NY Beauty. I can't even imagine finishing these two projects in the limited time frame you gave yourself, Congrats!! Beautiful projects!! You did an amazing work on both of those. Especially like the egg. Thank you for sharing. I am a newby follower by e-mail. I really like your New York Beauty wall hanging, also I'm glad to see I'm not the only one who has ever looked a cross-stitch pattern and thought "that would make a great quilt". You didn't say if the giveaway is open internationallly or not - I'm in the UK. Lovely projects! 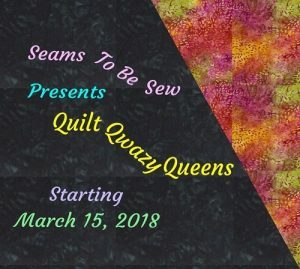 I love the free motion quilting on your New York beauty. Very nice projects, it's been fun seeing everyone's! Your projects are sew cute and you designed them. I am in awe. Thanks for the giveaway. Both of your projects are beautiful, but I especially love your Geese Circling New York - so bright and pretty! Beautiful quilts. Thanks for sharing and the giveaway. Awesome little egg - and ahead of the game for Easter, lucky you! Thanks for the give away! I now follow you via Goggle friends connect. Wonderful Kona creations, Doris! I love the value changes in Geese Circling New York - very cool. Oh, my! That's the prettiest fabric Easter Egg I've ever seen. Fabulous! I follow you on bloglovin and I'm looking forward to seeing what else you create this year! I shared your FB page on my Timeline! I love the geese, especially with the black background! I always love the crispness of white backgrounds but this hop is winning me over to the possibility of using black. Both of your quilts are incredible I can't decide which one I am more in love with! I love those kona solids. So dreamy! And your quilting on the flying geese quilt is lovely. Wow, Kona Cotton just has the most beautiful colors! Doris, :) Great laugh this morning! Your comment about not being able to send iced tea to the winner of your giveaway...I almost sprayed down the computer with...yep....tea! This quilter has tea by my side at all times! Even on the coldest of days! :) Your quilts are lovely!!! Love your color wheel New York Beauty, Doris! I'm a sucker for rainbow colored items. I've even pinned one of your photos. I've got you in my Feedly blog reader. wow. wow. wow. Your New York Beauty is just fabulous, absolutely gorgeous, I want one! Where did you get the pattern? Great job on these, Doris. The counted cross stitch is a great idea.